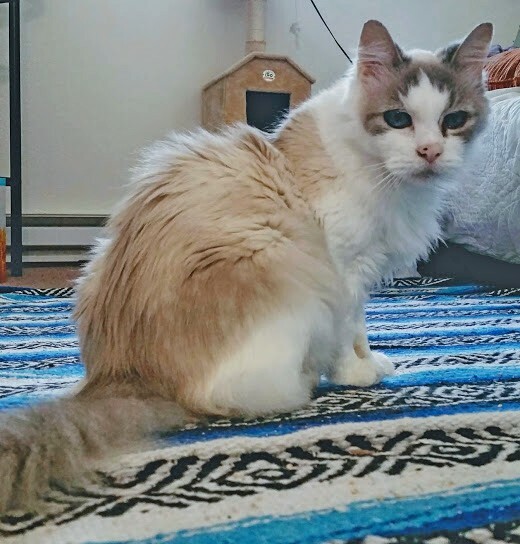 My name is Link and I am a shy, gentle, soft, sweet 11-year-old Siamese boy. 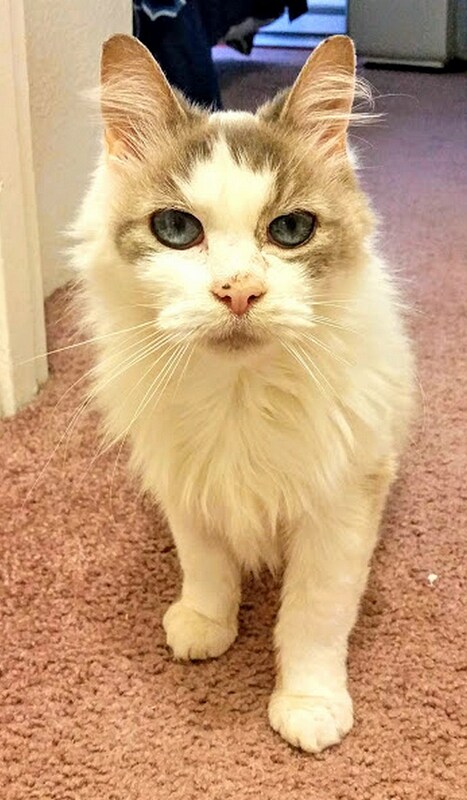 The wonderful people at Pixie rescued me from a not so nice up situation, and my adoring foster mom has nursed me back to health and my rightful beauty. I have really come out of my shell and am ready to find my forever home! Though I can be a little timid at first, I’m extremely nice and my greatest defense mechanism is to melt into a puddle in your arms and stare into your eyes lovingly. In my time recovering at a foster mom’s home I have come to learn that human love is the best love ever! I love slow gentle swishes down my back while I prance around showing you how handsome I am. I am a little coy and I love to come up and cuddle next to you on the couch. My favorite thing is to be spooned and will melt into you if you let me. I am still learning how to trust new people and am little skittish when you are up walking around but as long as you’re sitting I’ll happily join you for a good cuddle. I am calm and low maintenance and need only a quiet, safe environment were I can rest and relax with you. I don’t need or take up much space so I would do well in a small apartment. My former home was a place full of dogs so while I am used to them, I would probably prefer to be the only pet, or for any other animal I lived with to be super mellow like me. Are you interested in getting to know one another? Fill out an application to meet me today! I come to you fixed, vaccinated, and micro-chipped (and with a recent dental already done!) for an adoption fee of $80.